Gorgeous, soft and delicious Baby Mohair whipped into a soft and lovely brushed finish. This beautiful Shawl (3 sk) , or it's big sister (sk), the Wrap is a beautiful project with Medium Brushed Mohair. 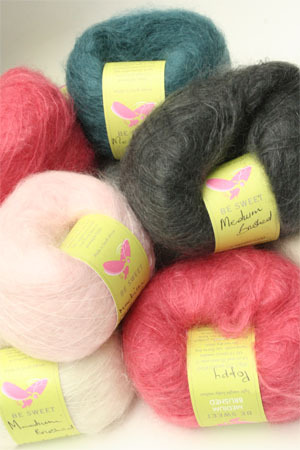 Free Download with any purchase of Brushed Mohair from Be Sweet.